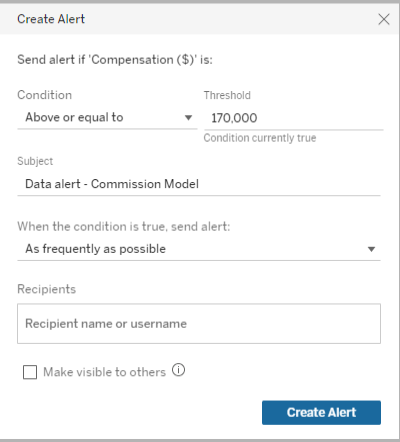 For data driven alerts, we are able to add individual users to an ALERT. Is there a way to add Tableau Server Groups (Permissions) to send out alerts? We are able to add groups for SUBSCRIPTIONS. 2) Tableau Server administration alert? 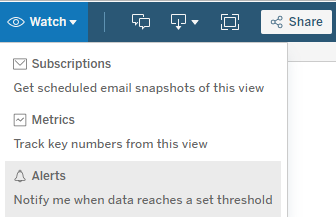 In the Create Alert pop-up window, set the data condition and threshold value that triggers alert emails.In the view, a red line shows where the threshold falls relative to your current data.